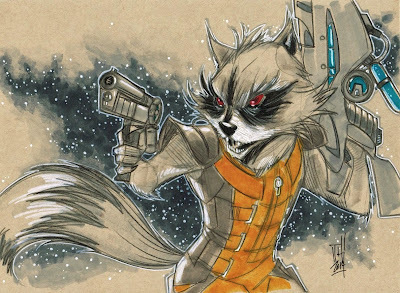 There has been a renaissance of sorts around the art work of Rocket Raccoon. The once forgotten character is now bigger than ever. 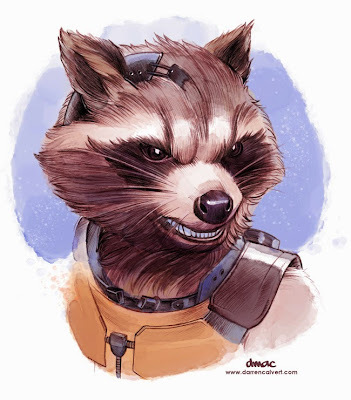 What really makes looking at Rocket Raccoon art work interesting is that each artists has his own take on how to draw him. 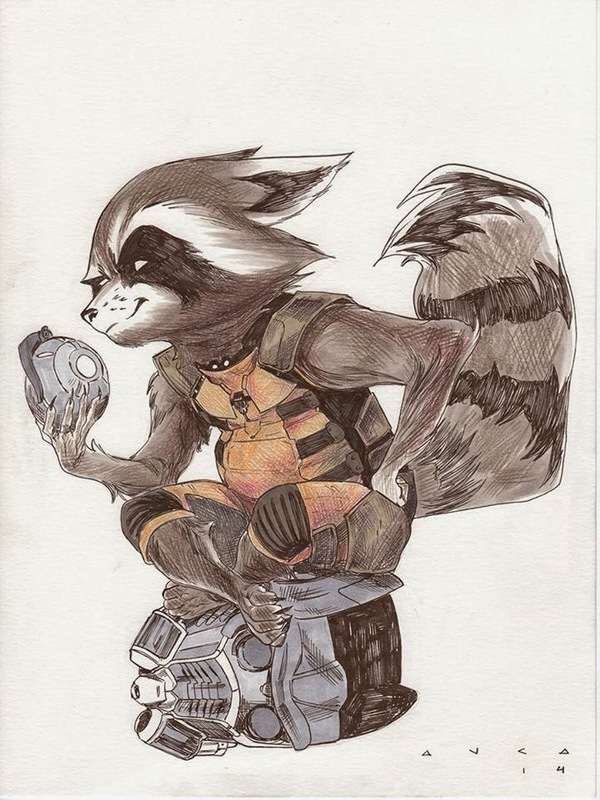 Some look human, some look primal and some look cartoony. They are all just so fascinating to looking at. 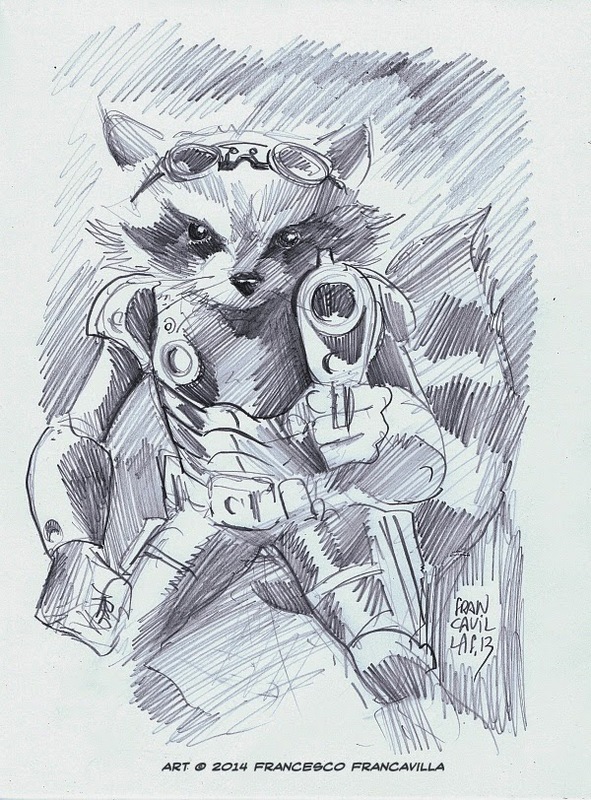 I spoke to some artists at different cons who are submitting their designs of Rocket to Marvel. 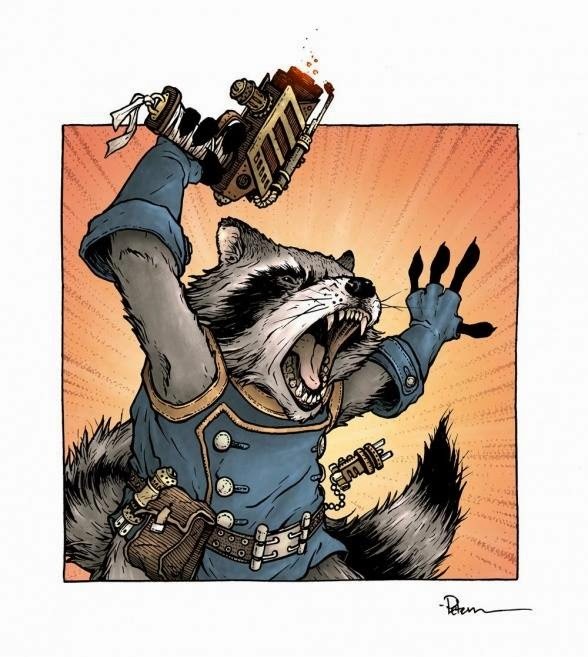 Some of these looks could be appearing in comics soon. 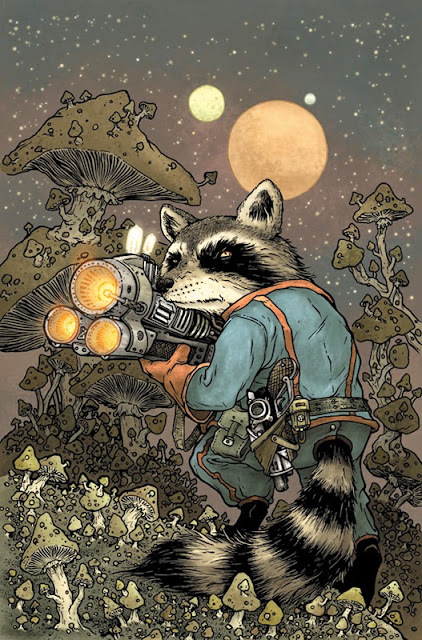 Michael Walsh's Rocket looks like it could be on Sci Fi Novel cover. Love this. 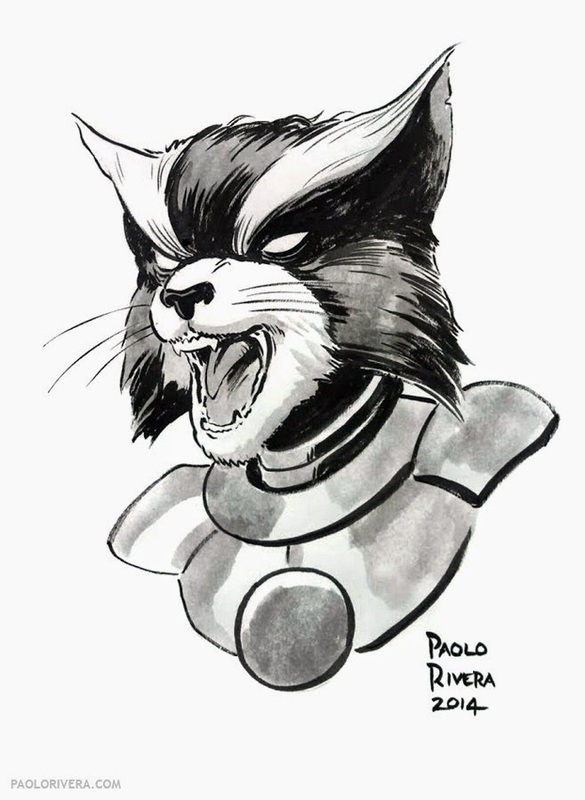 Rocket by Steve Buscema - I love this version of Rocket. 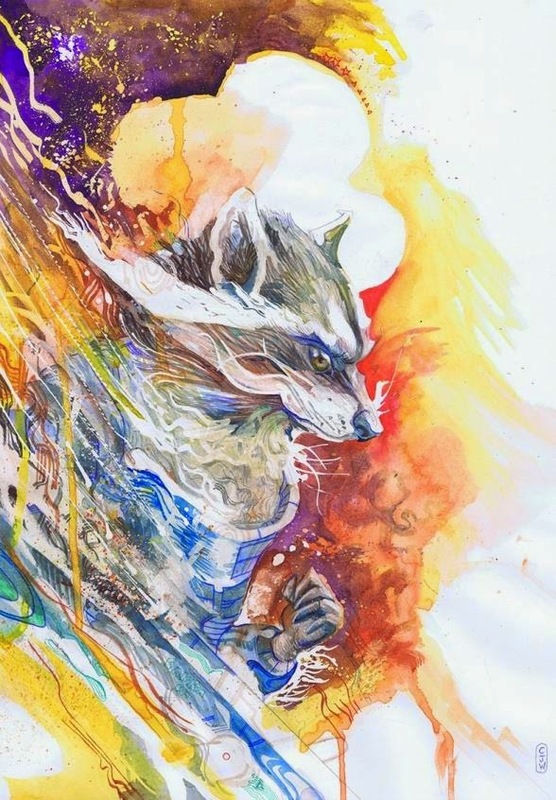 It looks like it comes right out of children's book. 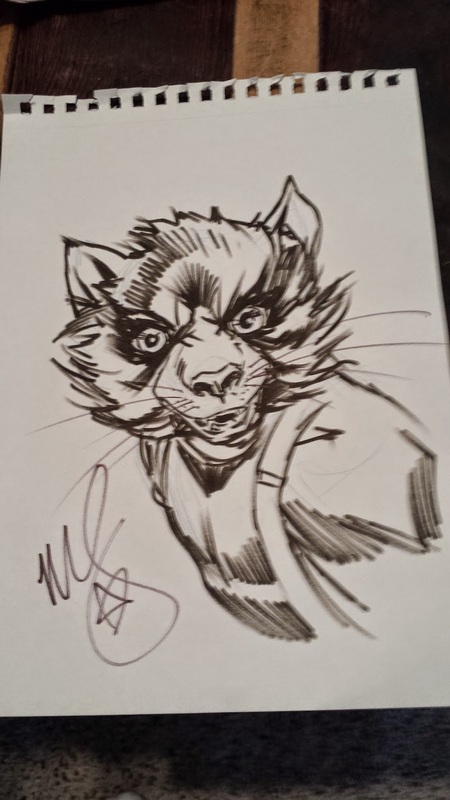 I bought a fast sketch of Rocket Raccoon by acclaimed artist Mark Brooks at Denver Comic Con. 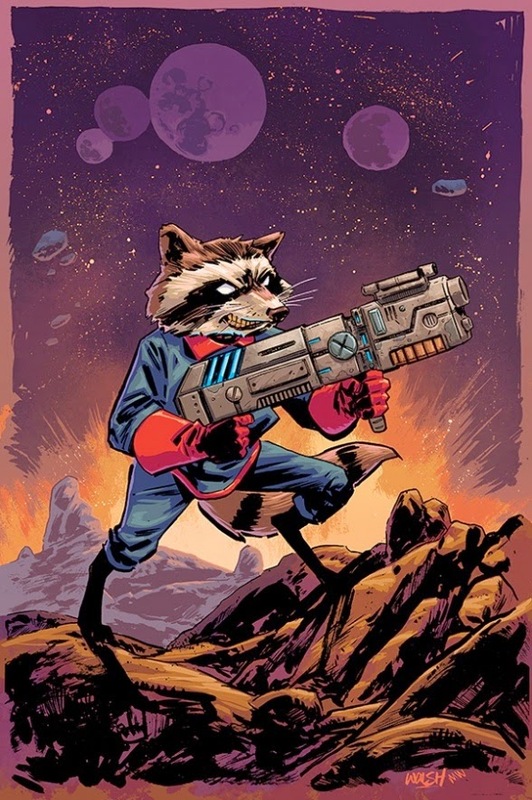 His Rocket is on the realistic / primal side of the scale. 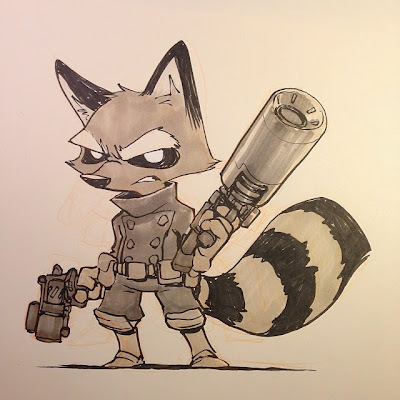 Rocket by David Peterson. 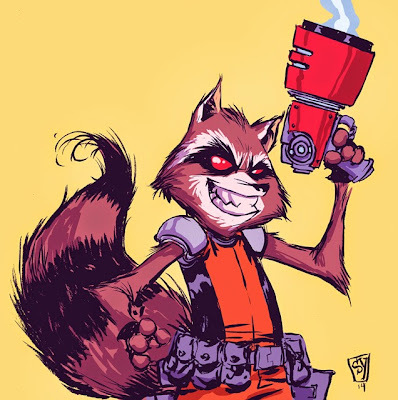 David's Rocket is kind of hybrid between realistic and cartoony. 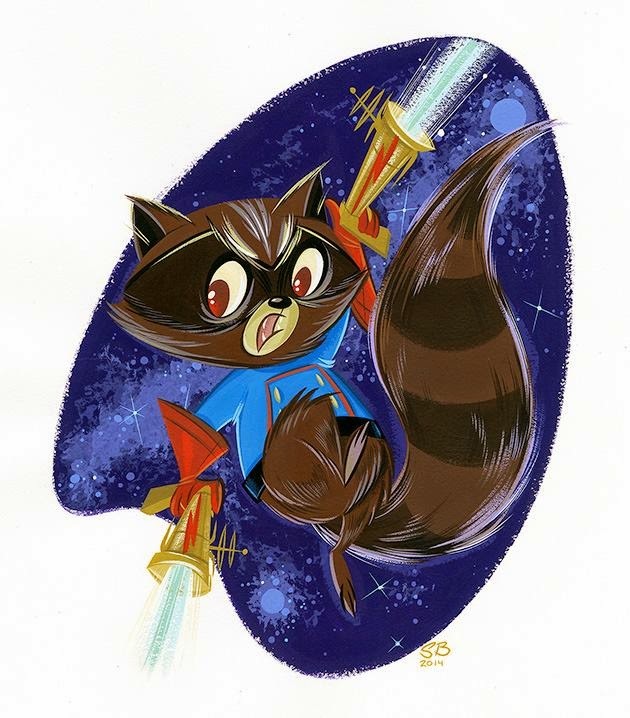 Of course we have Scottie Young's very loonytoon esq version of Rocket that is proving to be very popular. 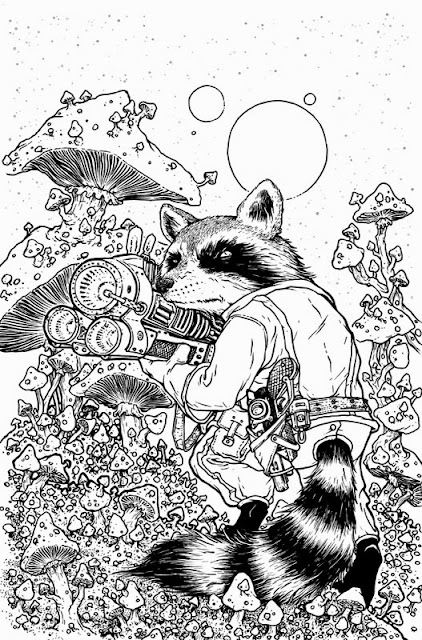 I could devote a whole blog to art work by Scottie Young.